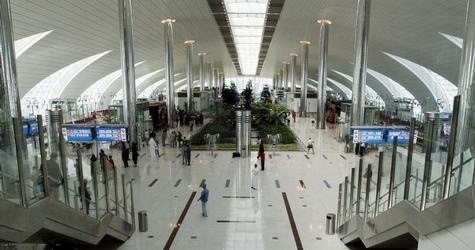 Dubai: Dubai Duty Free ( DDF ) on Thursday said it closed 2013 with sales reaching Dh6.65 billion, representing an 11.4 per cent increase over the previous year. The year had already showed positive signs with December marking Dh700 million worth of sales. DDF celebrated its 30th anniversary on December 20 with a 30 per cent discount on various products, which resulted in a record 215,000 transactions bringing in Dh111.88 million during the 24-hour period. The revenue represents a 40 per cent increase over the anniversary in 2012. The year recorded approximately 26 million sales transactions overall, which brings the daily average at around 71,000 sales transactions, the airport retailer said in a statement. He added that the opening of Al Maktoum International airport has also resulted in a positive impact on sales that is set to continue. “Also, our shopfloor staff continue to provide terrific levels of customer service, which in turn drives our sales,” McLoughlin told Gulf News. Perfumes retained its position as the best-selling category with sales reaching Dh1.06 billion, representing an increase of over Dh148 million over the last year. With a 16 per cent year-on-year increase in its sales, perfumes now contribute 16 per cent towards total sales at DDF , as per the company statement. Meanwhile, the beverage and gold categories followed with gold reaching sales figures of Dh613 million, showing a five per cent year-on-year increase. Confectionary sales also increased by 12 per cent, reaching Dh520 million. Other categories where sales increased include watches, which rose by 16 per cent to Dh459 million; and cosmetics where sales reached Dh446 million, marking a 20 per cent increase over 2012. Sales of delicatessen rose by 13 per cent to Dh298 million, whereas souvenirs, and handbags and leather goods have seen an increase of 22 per cent, and 46 per cent respectively. Additionally, sales at DDF Departures rose by 11 per cent, while Arrival sales increased by 13 per cent compared to the previous year. Terminal 2, which was fully renovated by December, recorded a 22 per cent increase in sales. Alongside record sales, 2013 witnessed the opening of Concourse A, dedicated to Emirates Airline fleet of A380 aircraft, and the opening of the passenger terminal at Al Maktoum International Airport. This collectively provided DDF with over 28,000 square metres of retail space. Posted on January 3, 2014, in #middleast, #retail. Bookmark the permalink. Leave a comment.